The emerging 5G Networks call for new network and cloud paradigms that bring elasticity in the network environment and enable high throughput or ultra-low latency services, such as on content or IoT data distribution. Our goal is to integrate and optimise together mobile environments with lightweight cloud resources (i.e., unikernels or containers) and investigate the novel associated research problems. More precisely, we attempt to improve the communication of mobile users through orchestrating different network edge aspects, including content or IoT measurements provisioning , connectivity options and involved network protocols . The MEC project realises such services based on Intelligent Resource Orchestration exploiting the unique experimentation facilities provided by the MONROE platform , namely highly-mobile environments, access to real multiple Mobile Broadband (MBB) networks, and a powerful experimentation toolset. The MEC project implements content-distribution and IoT functionalities through two corresponding scenarios. The first is on a novel elastic content-distribution network where mobile users suffer from MBB connectivity inefficiencies and delays due to the overloaded cloud servers; the MEC platform handles their connectivity issues through multi-homing, while it improves their QoE through detecting viral content and delivering it through efficiently-placed Unikernel Virtual Machines ( UVMs ). The second scenario is on the synergy of IoT networks, lightweight clouds and MBB connections; it considers mobile users accessing IoT measurements through unikernels, caching sensors’ readings. It aims at providing up-to-date measurements’ reporting with ultra low-latency, which is critical in emergency cases. novel content-popularity change point detection (CPD), scaling the cloud resources. In the MEC project, we created the following set of open-source tools, useful for other MONROE experimenters: i) a MONROE database mining tool that retrieves mobile node measurements with particular characteristics, e.g., from actively moving nodes. Furthermore, it transforms the data to a suitable format for the MEC platform (e.g., converts GPS data to x, y coordinates); ii) a Contiki Cooja conversion tool transforming the MONROE database data to Cooja Emulator’s mobility trace files; (iii) a parallel delay measurement tool that carries out multi-threaded ping measurements over multiple interfaces; and (iv) a MONROE experimentation container covering the MONROE test-bed part of the experiment, i.e., the mobile clients and the multi-homing aspect. Currently, we are in the process of widely promoting the MEC results . So far, we: (i) published a demo, a workshop paper (O4SDI) and presented a half-day tutorial, all in the IEEE NFV-SDN 2017 conference ; published a full paper in the European Wireless 2018 – in the special session of the MONROE project ; (iii) received a research award , partially funded from the MEC project (i.e., the eWINE grand challenge); (iv) submitted two full papers in the IEEE GLOBECOM 2018 , a demo paper to be submitted in IM 2019 and are finalizing two journal papers. We presented our results in important research groups and working meetings (i.e., at Boston University, ETIS-ICI, Paris and the Mathematics of Networks 2017) and started using the MEC infrastructure in our undergraduate and postgraduate courses. 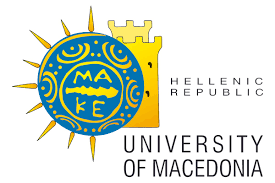 Last but not least, we received a research award from the Greek research funding body for the MEC project, which we allocated for further promotion of the MEC results. Our next steps include building on top of the MONROE platform and integrating new tools and algorithms to the existing infrastructure to enable further orchestration and novel slicing capabilities.